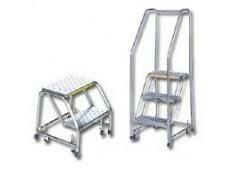 Stools and ladders are helpful industrial products in a way that enhances your work productivity. Stools can be very useful in a workshop setting, compared to a task chair or other kinds of seats. The reason stools have a better advantage is because stools have more room to move and swivel. Welders and other industrial workers find it easier to do labor tasks, such as when working with tools at a workbench. 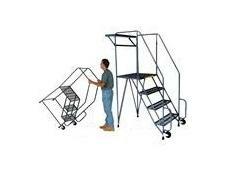 This could include, but is not limited to: drilling holes in metal / wood components, sawing, and welding. Most stools come in a standard design: a flat, circular seat with four angled legs and cross bars between them for support. However, stools have come a long way, from the past up until recently. Modern stools now come in all sorts of designs. There are stools made of steel, wood, recycled material, fabric, cotton, and more. Stools can come in different styles, such as plain and smooth designs, or added cushions for more comfortable seating. Ladders are perfect to help reach high places. 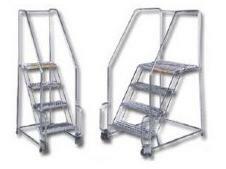 Ladders are especially beneficial in warehouses, agricultural workshops, welding shops, stockrooms, storage rooms, garages, home cleaning and painting, residential / commercial construction (roofing, installing cross beams, etc.) and outdoor landscaping, such as pruning trees. 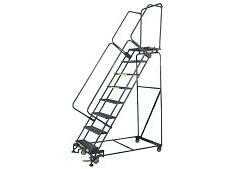 All ladders have steps, but not all ladder steps are made the same. Some have higher quality material, such as stainless steel, while others can be more flimsy like rope ladders.